Shaw Carpet once had Philadelphia Commercial and Queen Commercial tile lines. These two brands were a cornerstone for Shaw and now are working smarter together as Philly Queen carpet tile, bringing a great level of choice in product lines with unique styles in great patterns, notable textures and deep, rich colors and hues in Carpet Tile styles. Choosing a Philly Queen Commercial carpet tile means you get the ease and confidence of making the best choice for demanding commercial market areas. A top choice to consider for public buildings, busy doctor’s offices, retail stores, or even hotel lobbies that receive a lot of foot traffic day in and day out. Philly Queen carpet tile comes in a great number of styles to match the decor of your business office or home office. Being a product of Shaw Industries, Inc. the Philadelphia Queen carpet tile has the benefit of Shaw’s well known integrity, innovation and service. On top of this the Philly Queen brand stands behind their product with warranties that go to exceptional levels to meet customer satisfaction. As Shaw says, “ Delivering value by exceeding expectations – that’s Philly Queen Commercial”. The demands on commercial spaces to be environmentally responsible and green are growing more and more important. Philly Queen carpet tile incorporates a number of systems to ensure this is a product you can count on being a great choice. The carpet tile is produced with a managed system for natural resources to minimize environmental impact and this, couple with the Shaw reclamation and recycling efforts has led to to the first line of carpet tile that can be recycled back into new carpet over and over again. American Carpet Wholesalers carries an extensive line of the Philadelphia and Queen carpet tile at the best prices available online. Philly Queen Commercial carpet tile is the one you’ll want and need and American Carpet Wholesalers has the type of expertise and assistance that will make your project a great one. 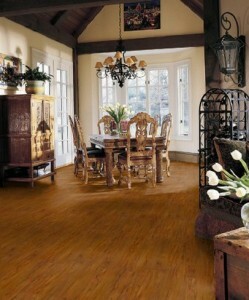 Contact one of their flooring experts at 800-548-2706.